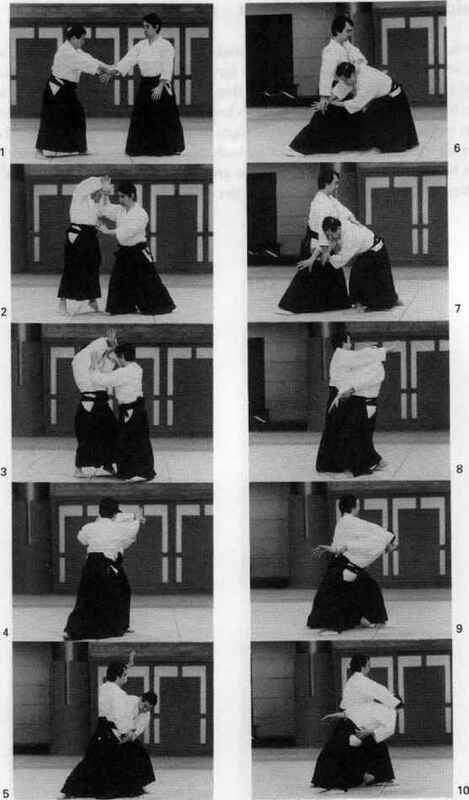 Shift the hold from one hand to the other at a lower level after knocking down your partner's hand and deliver Atemi to his face. 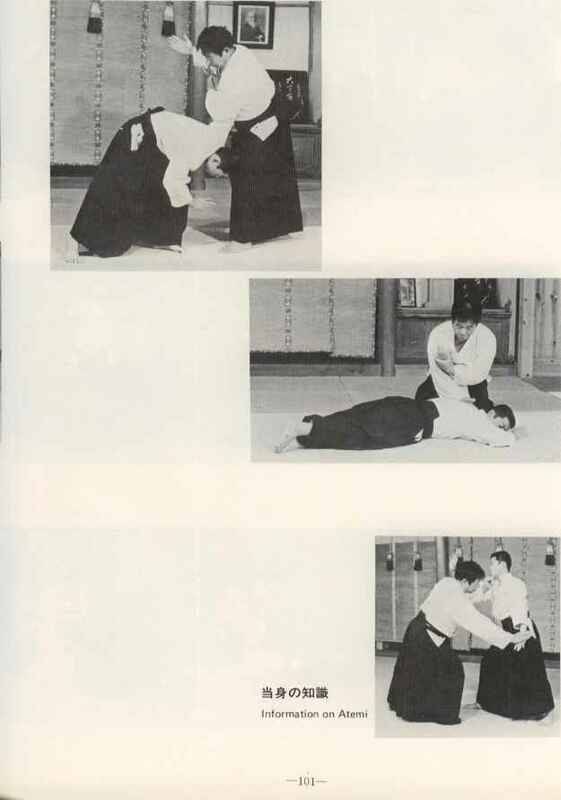 If the Atemi is diverted outward, glide to and past the side of your partner and pin him down in a cutting motion. At this point, draw your left foot backward to increase the effectiveness of this technique. 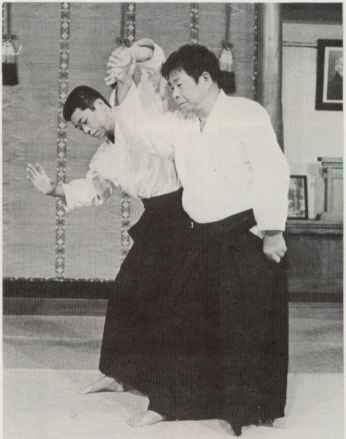 This technique is a variation of Dai-Sankyo which is concluded in the manner of Kaiten-nage. 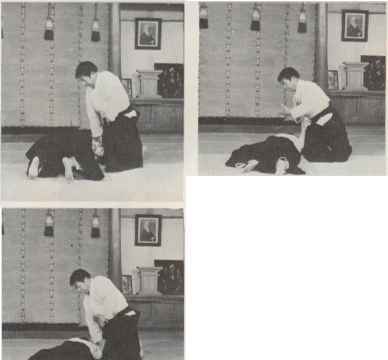 This is an exercise in which you hold the unengaged hand of your partner mounting Shomen-uchi and bring him down with Dai-Sankyo.